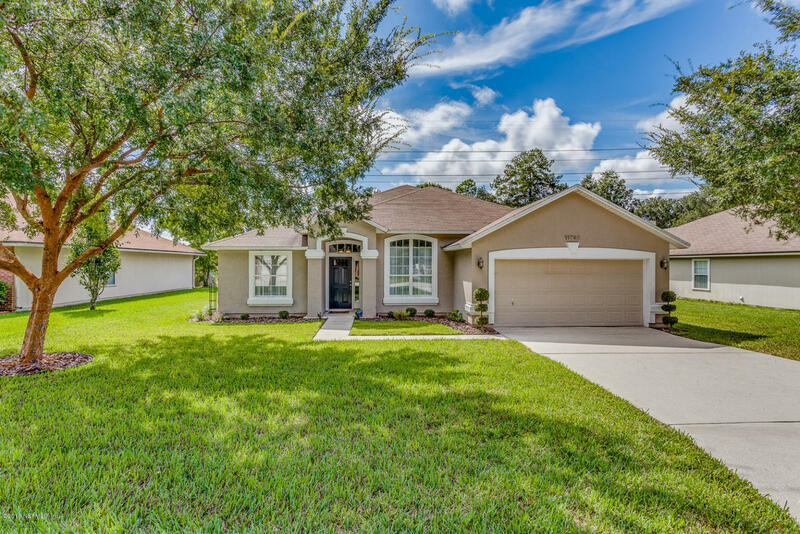 This weekend we have 3 open house showings: Two on Saturday October 1st in Mandarin and in Middleburg and one on Sunday October 2nd in Julington Creek. Please come by and tour these beautiful homes. There is a wonderful agent available to assist you and answer any questions you may have. Open House: Saturday October 1, 11:00a.m. – 1:00p.m. Gorgeous one-owner home has been impeccably maintained. This 3bd, 2 full bath split floor plan with a 2 car garage home features updated laminate flooring (with warranty), and formal dining room. French doors lead to a spacious office, and living area has sliders to screened in tiled lanai. Master suite features tray ceiling, walk in closet, garden tub, double vanity, beautiful step-in shower. Kitchen features breakfast nook, pantry, breakfast bar, appliances, and cabinets. Laundry room with plenty of storage, AND a newer a/c. Located in desirable Mandarin school district (Greenland Pines, Twin Lakes Academy Middle and Mandarin HS). Contact Kellie Long for more details! Open House: Saturday October 1st, 12:00p.m. – 3:00p.m. 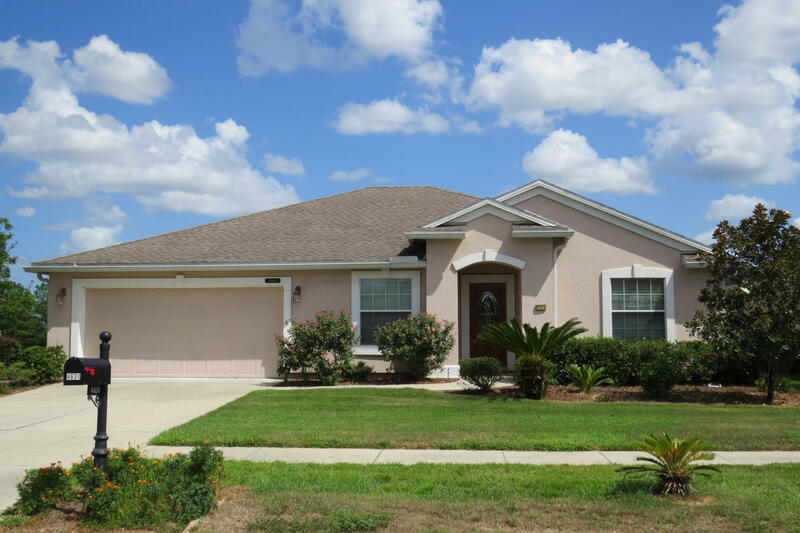 Come view this beautiful 3 bedroom, 2 bath move in ready lake front home! This well maintained home was built in 2007 by Ryland Homes. From the moment you walk into the front entry, whether you’re sitting in the formal living, dining, family room, or kitchen, you can enjoy the views of the lake! The open kitchen area includes a eat in kitchen space, large pantry, and silestone counter-tops with an island! The master suite includes a large bathroom with his/her sinks, silestone countertops, garden tub, separate shower, and a large walk in closet! Enjoy the Florida weather out on the enclosed covered patio with tiled floors. Home also includes inside utility room, blinds, sprinkler system, and a laundry tub in the garage! Contact Ashley Wilkinson for more info. Open House: Sunday October 2nd, 12:00 p.m. – 2:00 p.m.
Nestled on a preserve lot, this immaculate 5 bed 2.5 bath home is ready to welcome you home. The house features an open floor plan with a fully upgraded kitchen with granite counter tops and newer appliances, 3-car garage, hardwood floors, a formal living room and dining room, and a stunning master suite with a huge walk-in closet, garden tub, his and her vanities, and a stand up shower. The spacious back yard backs up to preserve for a private, peaceful space to entertain or simply enjoy your morning coffee. 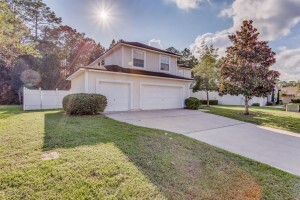 Don’t miss your chance to live in the highly desirable Julington Creek Plantation. Come see your new home today, contact Adam Wentz for more info!